Sydney Industrial Series, Sydney NSW. ​The images below are details of the above.
" White Bay Power Station" Roselle. 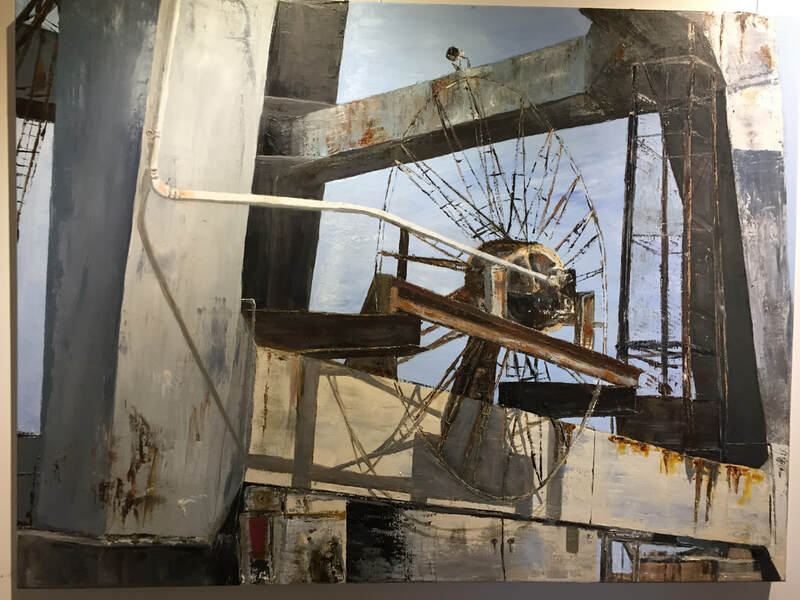 This painting will be exhibited at " The other Art Fair Melbourne," The Facility,"
​ "Cape Don" Permanent parking. 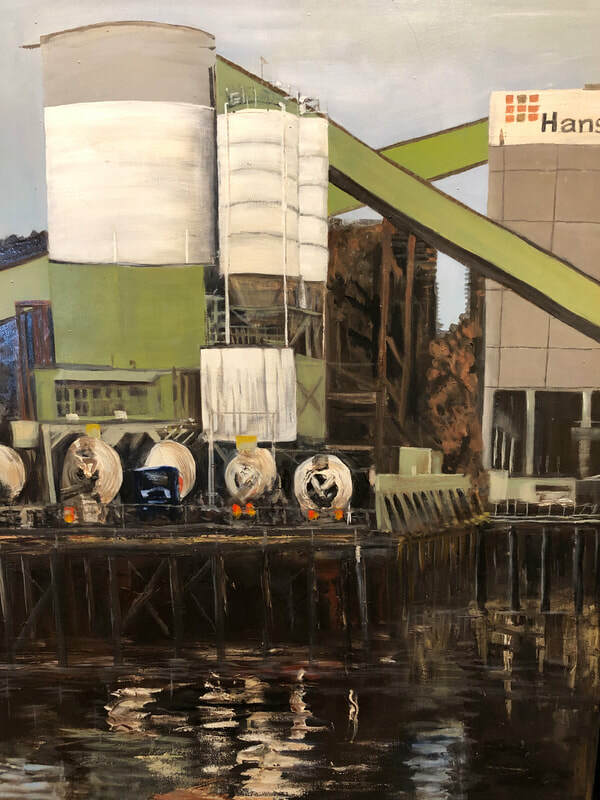 This painting also to be exhibited at "The OtherArtFair"
Sydney's hidden treasures : Parramatta Lake surrounded by the traffic, pollution and noise, an oasis, in a busy Metropolis . ​Opening 10 August 6.00pm - 8.00pm. "Out of the dark" Exhibition at Balmainspace. Opening 10 August 2017 6.00pm - 8.00pm. 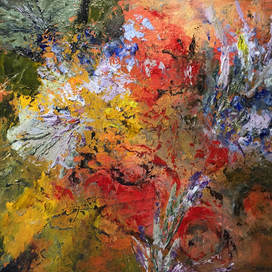 Series of Floral Memory Paintings. ​Sold. Private Collection in South Australia. The Shearing shed at Bungaree Station, South Australia. "Days end " Birchgrove Balmain from Mann Point. Selected as a semifinalist in Northern Beaches Art Prize 2017. Flowers flourish in memory long after the bouquet has gone. "Suburbia, over the back fence!" Now hanging in the Christmas Exhibition 2016 of the Royal Art Society at the Lavender Bay Gallery. ​Oil on canvas and linen. "Me,myself alone on Stockland Beach"
"The cool of the evening"
​Oil on stretched Linen H76cms x W101cms. 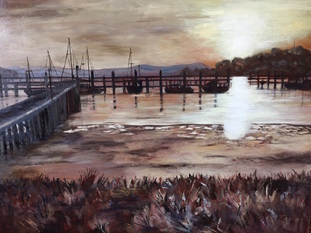 Exhibited at Singleton Art Prize 2016. 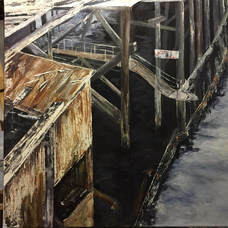 Exhibited at Northbridge Art Prize 2016. ​Exhibited at Lane Cove Art Gallery. "Fragments of Cockatoo Island and surrounds"
​Graphite on Arches 300 gsm paper. 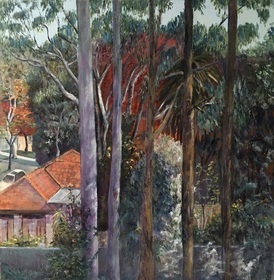 ​Exhibited at the 2016 Lane Cove Municipal Art Prize. ​Exhibited at the Singleton Art Prize 2016. 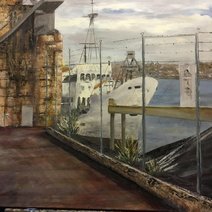 Royal Art Society Lavender Bay Gallery 2016.